A game development team coming from the very heart of the Netherlands, Crimson Owl Studio, decided 7 years ago to create something that hadn’t been done before. I am not sure if it was their love for Arkanoid games or just their need to create something wacky in an unexplored, yet famous game genre. Either way, their love for what they do brought us Caromble! which is what we will be talking about today through this Preview. This is a Preview and not a Review simply because the game is not complete yet and is actually available on Early Access for the moment. Caromble! gets us in an exciting mood from the very first moment we enter the game since we get a guy yelling “This. is. CAROMBLE!” in our faces while the logo throws itself on our screen. The title plays around with the arkanoid style of games and basically adds a whole lot more that ends up making it more interesting than just the 2D arkanoid games we were used to seeing up till now. 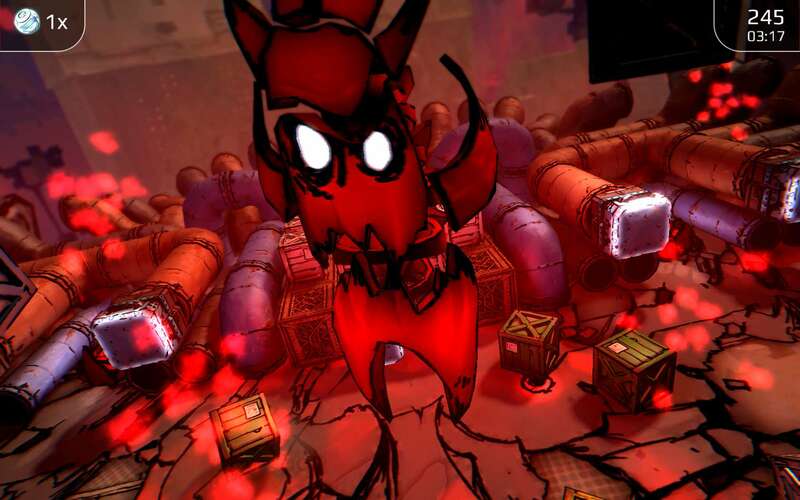 There is some sort of a story in the game that revolves about us chasing a big red-looking baddy but other than that, we basically just destroy a bunch of stuff trying to get from stage to stage, unlocking as many stars as we can on the way. Standard arkanoid-y stuff. The story or the purpose of the game is obviously though not the main focus of the indie game we are dealing with here. The gameplay is given the most emphasis development-wise and despite the title being in Early Access, we get to experience that quite smoothly. The controls feel very easy to learn, respond well and the joy of navigating a big ball-bouncer platform left and right immediately becomes enjoyable from the first few stages we go through. 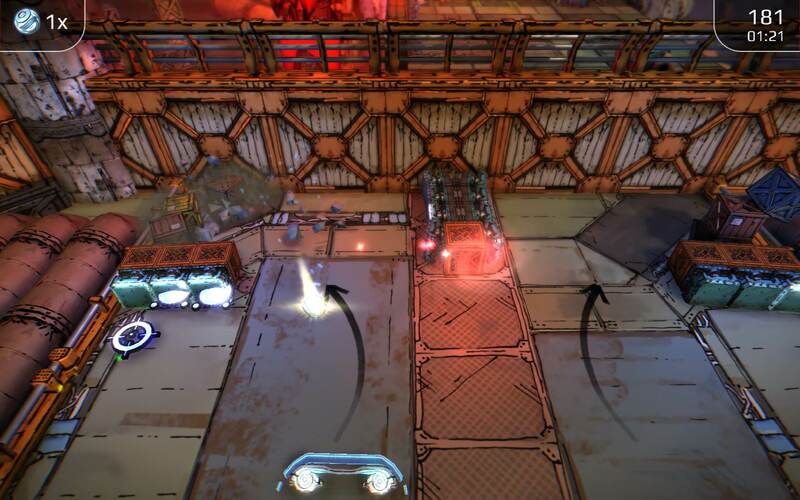 There are of course a bunch of upgrades to compliment the gameplay and a bunch of tricks that you can do with your bounce-bar too, such as the ball-curve hit that you can only achieve by hitting the ball while rushing from the left or the right in order to give the ball a curved path. The game would be nothing without interesting level design though and Crimson Owl Studio delivers on that front too. Pretty looking 3D landscapes allow the title to take arkanoid to a whole new level by forcing us to think that the ball might bounce here and there, thus altering its path. The team keeps releasing more and more levels as time passes and despite most of them looking very moody and having a very industrial atmosphere to them, the levels all play very nicely and give quite a unique experience that makes us want to play more. My favorite part of the game was probably the boss fights which I really looked forward to trying out. Arkanoid games have had those before but Caromble adds a very nice touch to that part too by making it feel a bit more “real” through its 3D environment. I do not know why but I sort of felt as if I went back in time, when I was fighting bosses in Crash Bandicoot on my PS1. .This was at least the sort of feeling that the graphics combined with the gameplay gave me and it was undoubtedly fun. Caromble! is a title that most will enjoy just due to its arkanoid playstyle but ends up offering way more than just that. Playing the story or the skill levels, whatever you end up doing, there is no doubt that the game is filled with content that just keeps expanding and becoming better too. It is always good to see Early Access indie games that are actually constantly updated and not forgotten about as soon as they hit the Steam Store. If you are a fan of this kind of playstyle then you should most definitely consider picking this one up. The game is available on Steam (in Early Access) for the price of 12,99€. Thanks for the nice preview. We’re actually working on adding more story elements to Caromble! Chapter 4 is coming soon.